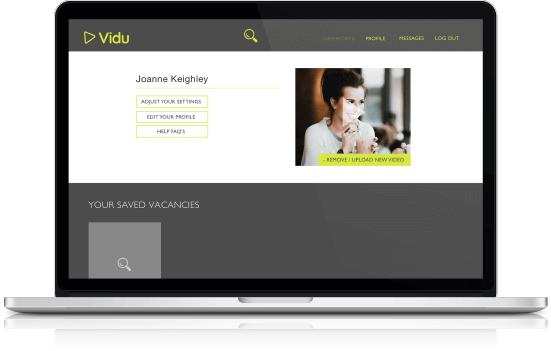 In consideration for your Subscription Fees we shall provide you will an employer account (Employer Account) on our website www.viduvideorecruitment.co.uk (website). 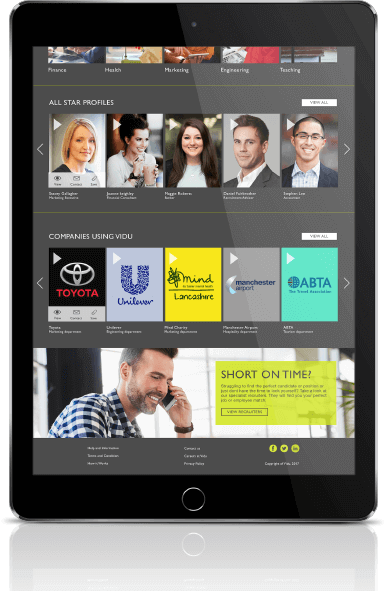 Our website is a platform where individuals seeking employment (Candidates) who are able to create ‘fully rounded’ profiles and upload content, including video content, in support of their applications for roles. 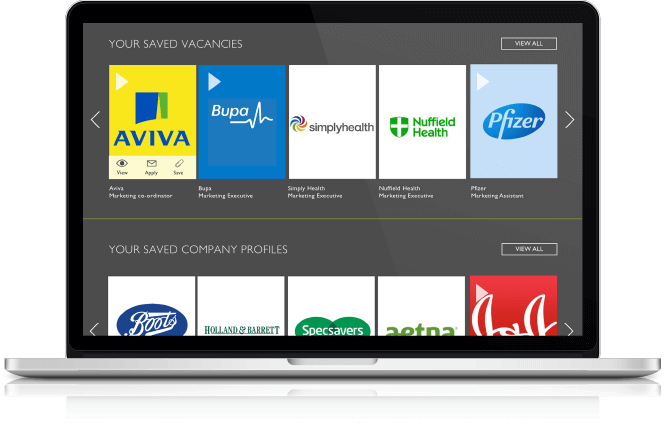 Upload jobs to be listed on our platform which are visible to Candidates. 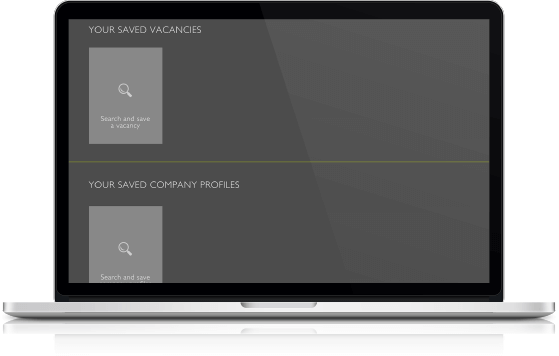 Screen Candidate profiles, review content and make short-lists. Arrange to engage directly with Applicant. As part of our services we will provide you with our standard customer support services during normal business hours. The Services of a dedicated recruitment professional. Drafting of a job descriptions for your role. Posting the role on our website and/or third party platforms/publications. Initial interview with Candidates (online, telephone or face to face).